The first reported steps towards the discovery of the shape memory alloy effect were taken as far as the 30s. What is a shape memory alloy anyway? It’s a metal that exhibits t two very unique properties, pseudo-elasticity, and the shape memory effect, meaning they can sustain a great deal of stress without permanently loosing their initial characteristics and they can “remember” that initial effect when certain environmental conditions are met. The first pseudo elastic behavior was discovered in the Au-Cad alloy in 1932, but obviously titanium needed to enter the field in order that the full potential of shape memory alloys to be unleashed. In 1962, scientist William G. Buehler led a research team for studying the different properties of titanium and titanium alloys at U.S. Naval Ordnance Laboratory. They were primarily interested in the unique fatigue-resistant properties they have discovered in an equiatomic titanium-nickel alloy. In preparing for a demonstration in front of a joint naval committee Buehler Buehler prepared a long, thin (0.010-inch thick) strip of nickel-titanium alloy bent into short folds longitudinally, forming a sort of metallic accordion. The strip was supposed to be compressed and stretched repeatedly and rapidly at room temperature in order to expose the pseudo – elasticity effect. Unable to attend, Buehler sent one of his assistants to the meeting to present the metal work. During the presentation, the alloy strip was passed around the conference table and flexed repeatedly by all present. One of the Associate Technical Directors, Dr. David S. Muzzey, who was a pipe smoker, applied heat from his pipe lighter to the compressed strip. To everyone’s amazement, the alloy stretched out longitudinally, thus revealing the memory effect of nickel-titanium alloy. This alloy was named Nitinol (Nickel-Titanium Naval Ordnance Laboratory). Since that time, intensive investigations have been made to elucidate the mechanics of its basic behavior. The first efforts to exploit the potential of Nitinol were in the medical field and in the 80’s some orthodontic and mainly experimental orthopedic applications were released. It was only in the mid-1990s, however, that the first widespread commercial stent applications made their breakthrough in medicine. The explanation behind this unique capability is that the shape memory alloy can exist in a two different temperature-dependent crystal structures (phases) called martensite (lower temperature) and austenite (higher temperature or parent phase). Several properties of austenite and martensite are notably different.When martensite is heated, it begins to change into austenite When austenite is cooled, it begins to change onto martensite. In the austenitic phase Nitinol retains all the unique properties of its father – titanium, which is why this is the most widespread shape memory alloy in use today. The most common uses are as an electrical mechanical actuator – in fire systems, for instance, and it has been especially successful in titanium eyeglass frames, but some more sci-fi uses are further explored for this material. 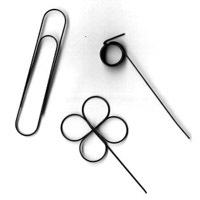 Superelastic” and “shape memory” types of nitinol are generally available in Nitinol wire, ribbon, strip, Nitinol sheet, tubing or bar form. On a commercial basis at several manufactures, but if you need a small quantity, your safest best for rapid procurement, would be at your local dentist office. The professionals usually keep a small stash of Nitinol wire at hand as it is commonly used in specific medical procedures.